Medical devices, Electromedical devices and medical equipment, distributor and supplier. Sale, rental, placement or lease of innovative medical devices, Electromedical devices and medical equipment, high technology and innovative tools in various disciplines and fields of medicine. Design and setting up Healthcare Centers. We offer a wide range of therapeutic and diagnostic medical devices, with different multidisciplinary non-invasive technologies and / or minimal invasive to improve the clinical results with high cost-efficient factor. Particular regard to new diagnostic and therapeutic clinical application of biomedical technologies of the last generation. Consultancy, supply, technical support and maintenance for a high quality full service, as well as our specialized team can provide architectural design and style, realization of your offices, operating rooms and surgery, connecting spaces and adjacent services for hospitals day hospitals and healthcare centers. Together we shall build up a tailor plan for long relations that best outfit your needs. Professionally, Quality and Know-How are fundamental principles, in order to meet customer expectations and maintain a long relationship of trust with suppliers. Considerable importance to us is to offer and high quality performance after sales support, not only supplying innovative medical devices and to give the healthcare centers and physician all the necessary tools & facilities to improve patient care. # Education and Training. Management and use in the most correct and safe methods, special teaching to maximize the investment. Excellence support in patient care, optimize the use of the technology and the innovative tools. A real potential for an excellent workflow. # Technical assistance high skill specialized. Different forms of assistance: remotely or at the customer's site, maintaining the flexibility to choose the most appropriate solution. Our technicians will assist you in all the specifications, we will visit on-site meeting to discuss in detail specific issues with the users. # Updates and ongoing supports; Professional and Technological as well; revisions, renewals, upgrades, update and follow-up for proper functioning. Design and setting up healthcare centers; the hospital as a place of hospitality and care for sick and in need, the structure that needs to be enhanced continuously to have the ability to adapt and respond to new challenges in constant evolution and modernization that affect them. A target increasingly complex and demands that occurs in our society. Because of a quick development of technology for medicine, Health has undergone profound revolutions, has led to the evolution of the structure of the hospitals themselves, including the attention to the design, distribution and composition. The sanitary building, healthcare structure, is a tennis expert, but there is also the 'architecture'. This variable, stifled for years by economic needs and, as they say, technological, has returned to the fore, new distribution, organization, but also image, environment, quality of space, emphasizing character choices and spatial planning. AGADA’ can provide professional, planning and construction, integrated architecture services and design. # Upgrading and health facilities for existing buildings. 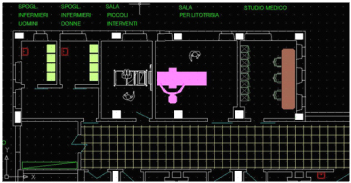 Design and Construction of operating space: medical offices, healthcare centers, clinics and hospitals. Quality projects integration architecture and design to maximize space with the technological requirements for a better treatment and patient care of the patient moreover to have a better workflow. 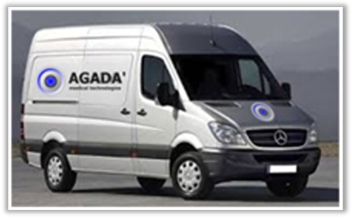 AGADA' Medical Technologies - Your partner for development, know-how to build long-term relationships based on respect and dialogue, always in the satisfaction of all the requirements, needs and qualities. AGADA' Medical Technologies | Deal clinical cases with multidisciplinary technological resources, provide all services you need.